IN GALAX OR HILLSVILLE, VIRGINIA! 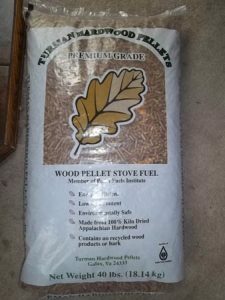 Turman Hardwood Pellets are a clean-burning home heating alternative. Our pellets are manufactured from the sawdust collected at our hardwood flooring facility, as well as other sawmill facilities owned by our parent company, The Turman Group. Our Pellets can be burned in a pellet stove or fireplace insert. Pellet stoves are a growing trend and are available from multiple dealers. Not only are pellets clean-burning, but they are made from renewable resources, and in our case, from a product that would otherwise be scrapped, sawdust. Our Turman Premium Hardwood Pellets are designed to ignite fast & easy, leaving no time for smoke. For years, Wood Pellet users have known, in order to make a Premium pellet you must first start with Premium raw material, which is why we take pride in our materials from the lumber yard to your living room. 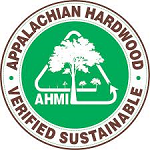 Produced from Appalachian grown Hardwoods, and cured in the natural air for many days before kiln drying and processing, our Wood Pellets are environmentally friendly, and contain no preservatives or chemicals. After all, nature always knows best…. Another note: Many people ask what we use to “bind” our product with and what makes the pellets shiny and hardened on the outside? It’s simple. Lignon, which is found in every species of wood. It is a form of natural juices, also known as sap. Most people are aware of the juices in Pine or Maple trees, however there is a certain amount in all species of wood. In the process of making wood pellets, the sawdust of the hardwoods are heated until the Lignon begins to meltdown. There are several processes before reaching the rotary die, where it is compressed into pellet form, and sent into a cooling device. This cooling process causes the Lignon to harden immediately around the outside of the formed pellet, giving pellets a shine. For more information on how wood pellets can benefit your home or business, please visit the Pellet Fuels Institute. We sell our pellets in convenient 40 lb bags, either by the bag or by the pallet (2000 lbs), from our warehouse in Galax, Virginia. 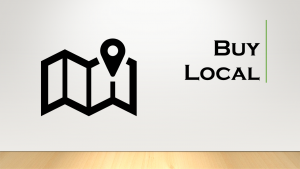 You will also find our pellets at retailers around the country.